It’s not been a long while since the digital commerce started taking over the traditional market culture. 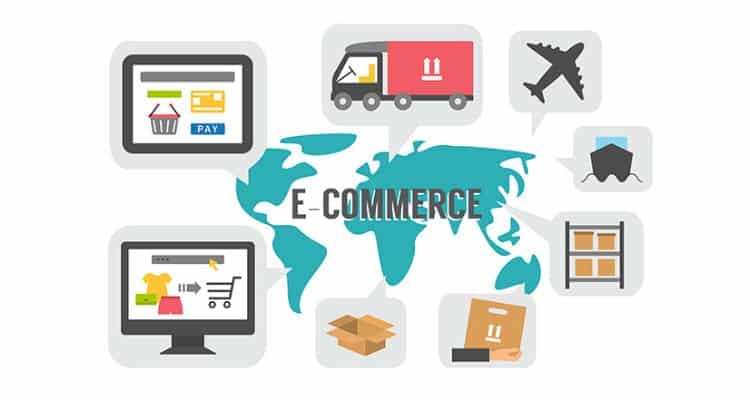 The comfort of shopping from home, digital mode of payment, and a variety of cool stuff online are all major driving forces of the e-commerce industry worldwide. The technology is advancing like never before and is helping transform the industry into a next-generation e-commerce industry. What are these technology advancements? How is e-commerce being operated in the consumer market as a whole? Online shopping experience for customers and business model for retailers is being further enhanced every now and then with continuous improvements. Technologies such as Artificial Intelligence (AI), Predictive Analytics, and Visual Recognition technology are a win-win for both retailers and shoppers in the e-commerce space. E-commerce players deploy AI engines integrated with machine learning and predictive analytics which map out the shopping behaviours of users. This makes it easier for shoppers to find the best match for their preferences based on the product type, colour, size, etc. Predictive analytics collect the consumer data from multiple sources and prepare a customized recommendation, which is precise to the user’s requirement. These AI engines can make recommendations to the shoppers’ basis their past purchasing behaviour, credit history and preferences. Predictive modelling technology can also be used in Marketing and Sales to reach prospective customers and predict the probability whether they would agree to a partnership proposal or deal or not. It is more accurate than manual estimation. A supply chain can be effectively managed using predictive analytics through a strategic process, which involves planning, forecasting, sourcing, delivery, and returns. Once an online retailer can precisely estimate which product would drive what revenue, the stock management can be accordingly improvised. Cash flow, warehouse space, and stocking of products will be seamlessly regulated. Its, therefore, no surprise that Walmart, the giant retailer, too uses predictive analytics to optimize its supply chain. Ad campaign targeting, sales messaging, or responding to online queries and other such trivial yet important tasks can be automated to free up the manual workforce so that they invest their time in other complex tasks. Integrating AI into CRM software provides the efficient targeting and marketing through customized sales messages and solutions to the potential customer at most suitable time. By providing voice input in this AI-driven CRM, customer queries can be answered effectively through automated phone calls, emails, chats, etc. As Business Insider also predicted, nearly 85% of the total customer interactions can be handled by AI systems without a human at customer services by the year 2020. We have already seen how QR code emerged as one of the fast-paced trends in the industry. Picture-led shopping apps have started replacing the conventional shopping apps. These picture-led apps are based on image recognition technology, which enables the customers to take a picture of any product, upload it on the app, and browse hundreds of similar products offered. The “voice search” or “text search” is going to be obsolete in a few years as more and more e-commerce players adapt themselves to this technology. It will be an added advantage for those retailers who have gone Omni-channel with their services. The customer can buy the same product advertised in a magazine instantly by scanning the picture through the shopping app, which would directly land them to the exact product. Online shopping is, no doubt, convenient for all of us. But, it has also become quite a complex and annoying experience, where shoppers on e-commerce sites are bombarded with thousands of products, coupons, discounts, and so on. They keep on checking the same product on multiple channels for a lower price, colour choice, quick delivery, etc. Virtual buying assistants offered by retailers, in such a case, are such a relief. The AI-driven virtual assistants collect the consumer data and understand the particular requirements of the shopper. They inform the customer when a specific product which a user might have searched for is restocked, or available on discounts and sales. Shopping assistant like Shoptagr checks the saved or searched product every second hour in real-time, informing the user whenever the price increases or drops, or is available in different colour and size. For the merchants, the rate of abandoned carts can be minimized while maximizing the conversions. As we say BYE to 2018, BAI (Blockchain, Artificial Intelligence & IoT) says hello!